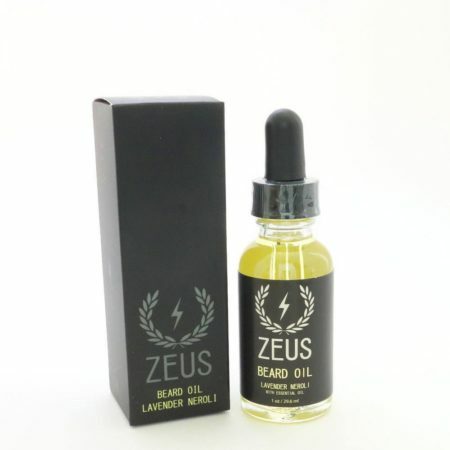 1oz/30ml bottle of Lavender and Neroli Beard Oil with added Vitamin e.
Zeus Beard Oil’s Lavender Neroli scent is woodsy with hints of citrus and will keep your beard smelling manly and clean. The exclusive blend of Grape seed oil, Lavender oil, Argan oil, and Vitamin E is rich in antioxidants. 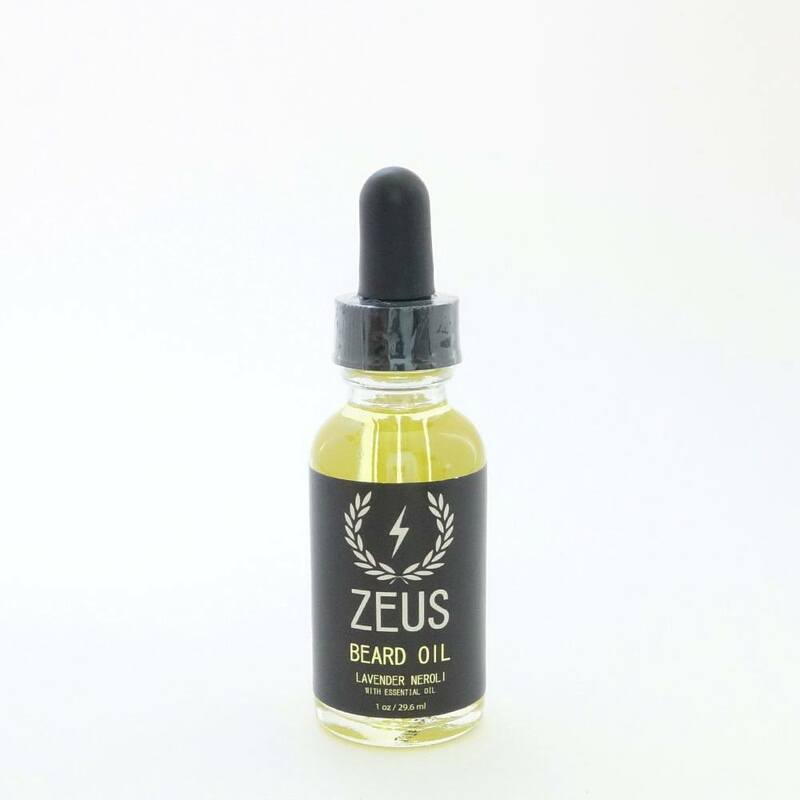 Made of the finest natural ingredients, Zeus will never leave your beard feeling oily or greasy. Lavender Oil: Promotes hair growth and conditions a dry beard. Sourced from the USA. Neroli Oil: Kills bacteria to prevent breakouts while also acting as an aphrodisiac. Sourced from Egypt. Ingredients: Carthamus Tinctorius (Safflower) Seed Oil, Argania Spinsosa (Argan Oil), Tocopheryl ( Vitamin E ) Acetate, Lavandula Angustifolia ( Lavender ) Oil, Citrus Aurantium (Neroli ) Oil, Vitis Vinifera ( Grape ) Seed Oil.